Lorde Rules The ‘Catching Fire Soundtrack’!!!! By Scene November 12, 2013 12:17pm Comments Off on Lorde Rules The ‘Catching Fire Soundtrack’!!!! While “Everybody Wants to Rule the World” might seem 2 be 2 peppy for a movie like Catching Fire Lorde has fittingly turned into a haunting ballad that should perfectly match the darkness that’s sure 2 come in The Hunger Games sequel. That means we still have songs from amazing artists such as Imagine Dragons, Of Monsters and Men, and Ellie Goulding 2 look forward 2! Thankfully we wont have 2 wait 2 long because “The Hunger Games: Catching Fire” soundtrack will be released in full next week with the movie following three days later! And if you’re like me and cant get enough of Lorde, b sure 2 check out her performance on “Live on Letterman” streaming here tonight at 8PM EST/5PM PST! 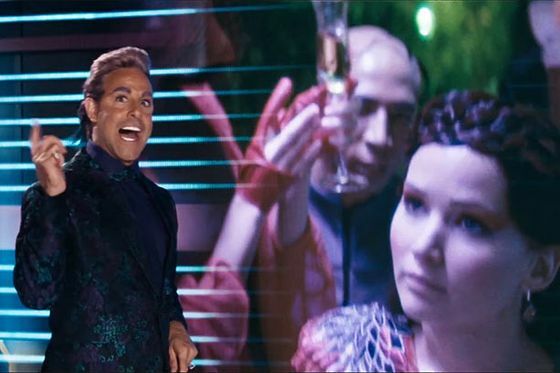 What has been your favorite song so far off the “Catching Fire Soundtrack”? Let us know in the comments below!